key-frame animation, and popular motion-graphics tricks like track mattes and simulated 3D space. Learn the principles of working with the audio mixer and filters like reverb/EQ to integrate your audio tracks into a sonic masterpiece. 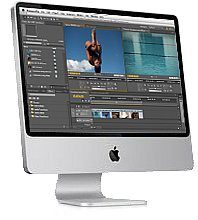 Adobe Premiere Level 2 Training is for designers and corporate communications professionals who are looking to advance their understanding of digital video and editing. and Onsite Premiere Training nationwide.